Sometimes, it’s the simplest things that can make a big difference in people’s lives, and this affordable solar light falls right in line with that, as it involves something we take for granted (a safe way to illuminate a home after dark), but which is a luxury in many parts of the developing world. Here in the west, all we need to do is flip a switch, and we’ve got a cheap source of light that doesn’t pollute our home and that can provide plenty of time after dark to prepare meals, complete homework, read, enjoy our family or loved ones, or do our daily chores. But that’s not the case in many areas, where the only viable source of light may be a kerosene lamp, which is not only unhealthy to burn indoors, and a possible safety hazard, but also requires a constant supply of relatively expensive fuel to operate. And while many different versions of solar lanterns and solar lighting options are available, not many of them are affordable to a family living in poverty, which is why this $5 solar light could have a big positive impact on the lives of those who use them. 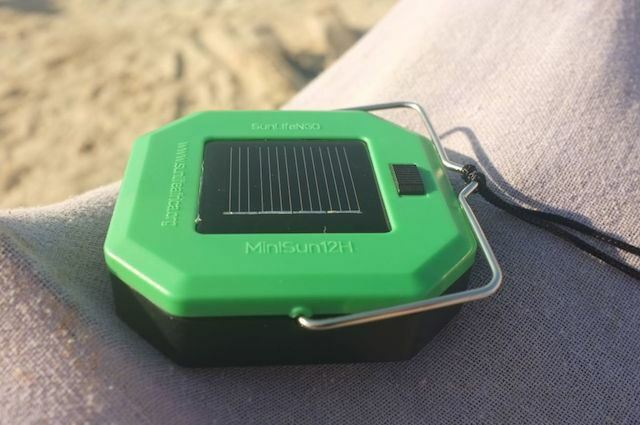 The MiniSun12H, developed by the NGO SunLife, is a affordable, durable, solar-powered light capable of providing 12 hours of light from 8 hours of charging. At the cost of just $5, this solar light is cost-competitive with a kerosene lantern, with the added advantage of never needing to be refueled with expensive and dirty kerosene in order to use it. The MiniSun12H solar light project, which is currently raising money through a crowdfunding campaign, can not only serve as a “village light bulb” with its clean and renewable illumination, but because of its low cost, could also serve to enable its users to save money for additional lights or other appropriate technology tools, and to put money back in their pockets, month after month. MiniSun12H has been designed from the ground up after years of tinkering! It’s manufactured from robust materials and simple enough to ensure it remains cost-effective while delivering ample bright, safe task light for 4 hours, and 8 further low-light hours. Requires 8 “tropical sun” hours to charge. Design life of 3 years. Plastic “S” hook and nylon string for hanging.